Eryn loves nature and science, especially butterflies. 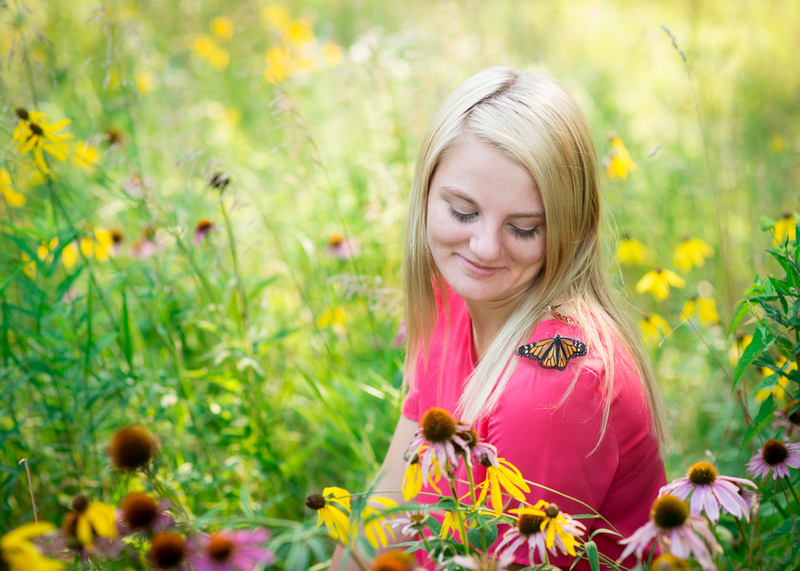 Her mom ordered a flock of butterflies so we could incorporate them into her senior photos. It is a little tricky to corral butterflies, but we found the perfect field of wildflowers to make them feel right at home. I love it when seniors want to make their photo session very personal, and I have to say some of the best ideas come from my seniors. Eryn’s mom was full great ideas! She brought along her entire stuffed animal collection and balloons for our studio session! Needless to say, we had a great time and I thoroughly enjoyed getting to know this beautiful and talented young lady who drove all the way from Washington outside of Peoria. 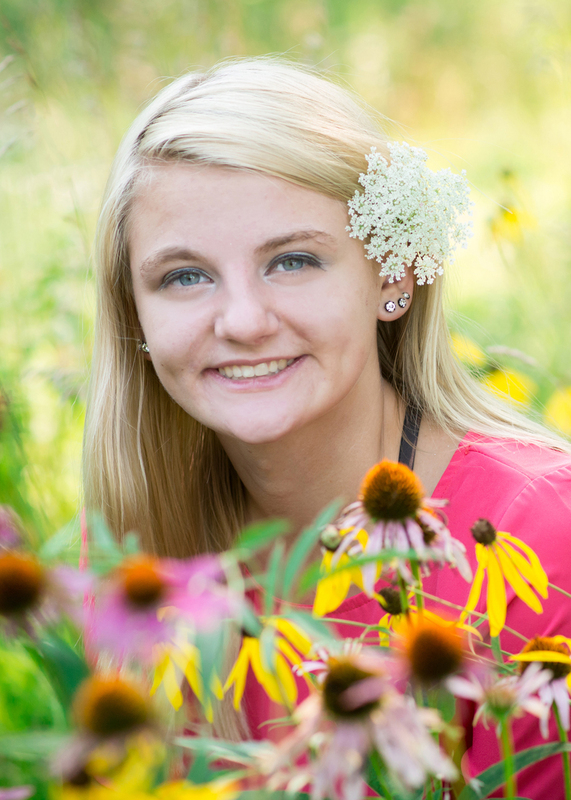 She has a super bright future ahead, with plans to attend OSF School of Nursing. Congrats Eryn!! Copyright 2019 Child's Play Photography. All Rights Reserved.|ProPhoto Photo Blog|Design by Northfolk & Co.